National Safe Work Month is a time to commit to building a safe and health workplace for you and your colleagues. This year’s theme is Sharing safety knowledge and experience benefits everyone. Throughout October, share the things you do, both big and small, that make your workplace safer and healthier. 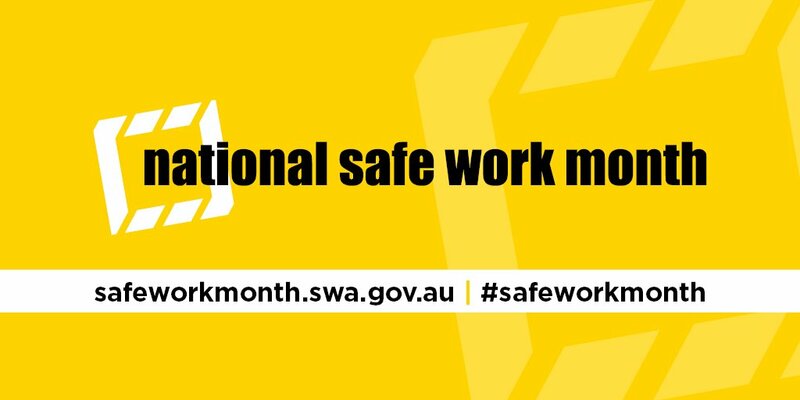 Visit safeworkmonth.swa.gov.au, access the campaign kit, and run a safety initiative in your workplace. Share your photos or videos, or tag us and use #safeworkmonth on social. Enter the Workplace Reward to win $5000 for your organisation. Safe Work Australia be adding items to the campaign kit in the coming weeks, and publishing a range of resources and links to activities throughout October.